When it comes to professional team sports in America, the NFL is king. And where there are NFL players there are NFL agents. Over the years, sports agents in general have been labeled as eels and vultures for their willingness to resort to slimy, underhanded tactics to recruit clients and make deals. Enter NFL agent Eugene Lee. Eugene is dedicated not only to servicing his clients with the highest degree of diligence and expertise, but to conducting business in a manner that is both ethically and morally beyond reproach. In My Brother’s Keeper, Eugene gives us a look at the game we love from a perspective few can offer. We’ll meet players in various stages of their NFL career–from college, to the pros, to life after the game. 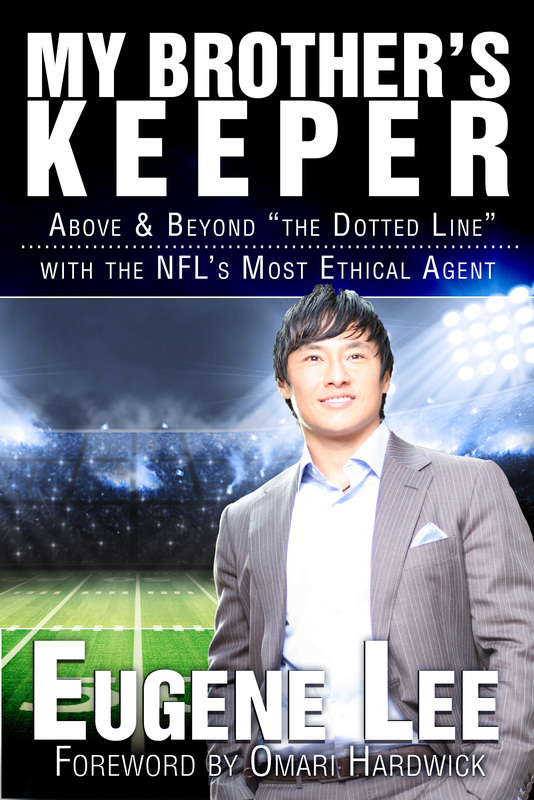 Eugene will take us into the homes of potential clients, the locker rooms of current clients, and to every nook and cranny an agent must go to keep the hopes and dreams of players alive. But above all, we’ll get insight into why Eugene has chosen to walk a path of righteousness, conducting business with the same integrity and faith by which he lives. Some say he’s a true “Jerry Maguire,” but Eugene Lee is an original, a one-of-a-kind personality whose life is just as exciting as the games played by his clients. So buckle your seat belts–you’re in for a wild and fascinating ride.